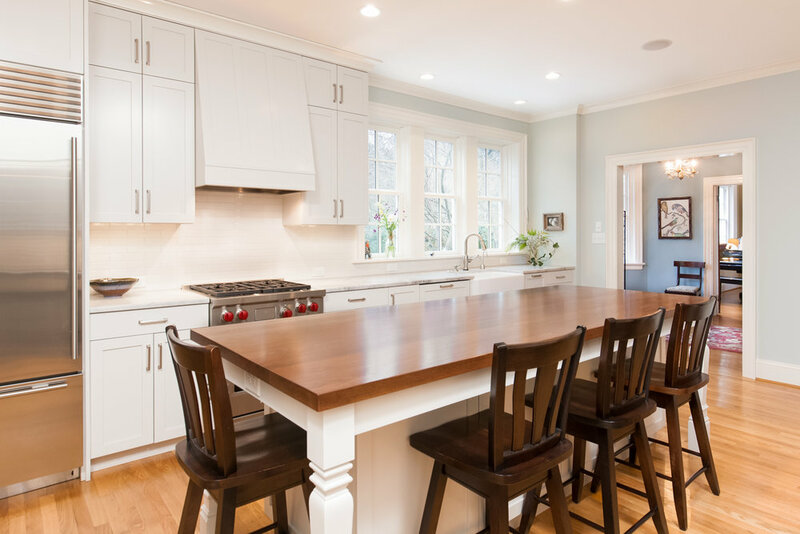 For this renovation, we relocated and expanded the kitchen, making the space the new focal point and center of the home. We widened openings between the kitchen, dining room and morning room to improve connectivity and flow throughout the first floor and to the basement. This renovation was designed in collaboration with Nested Design Studio.